The Friends of Cherry Trees Special School are fundraising to purchase a play tower for the school. 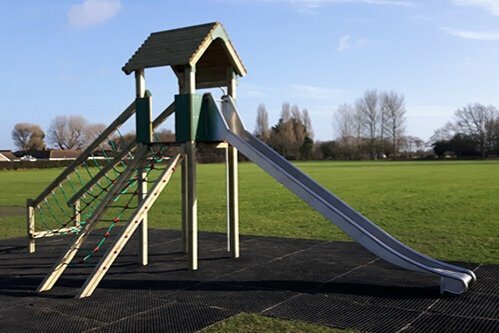 Cherry Trees celebrates its 50th Birthday this year and it would be fantastic if we could replace the tired, old play frame with this new and improved tower. All of our children attend the school and we are so grateful for the fantastic job the school do not only supporting children and families in the local community but children from across the Midlands, Staffordshire and Shropshire. This play equipment would mean so much to the children of Cherry Trees. Outdoor play equipment offers many benefits to children with SEN. Giving them the opportunity to climb and explore allows them to concentrate better in lessons, strengthen their limbs and improve their motor skills. The details of the equipment we would like to purchase are below. We would really appreciate any support that you can offer us in meeting our target so, please share our campaign and help get the word out. The Fort Leavenworth is the perfect focal point for any play environment! 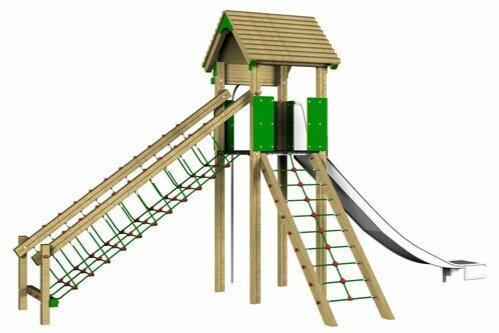 Designed to suit any outdoor play area, this tower system provides a variety of exciting play features including a slide, a firefighter’s pole and an inclined net. Encouraging physical, social, creative and imaginative play, the Fort Leavenworth promotes the development of fundamental movement skills as children are challenged to traverse around the equipment in new and exciting ways.